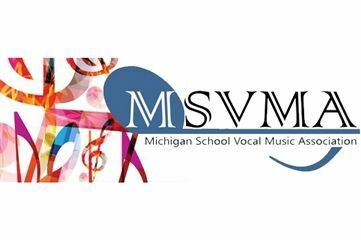 The MSVMA is a statewide institution that has been encouraging students in the pursuit of vocal education since 1937. Performance ratings range from I+ (Superior) to V (Poor). All students who are awarded a first division (superior) or second division (very good) rating receive medals for their performances. This year’s event was held on Saturday, January 12th at Howell High School in Howell, Michigan. All seven soloists and both ensembles that attended the event were awarded first-division ratings—the highest designation performers can receive. Further, two soloists and one ensemble received perfect scores for their performances, proving their mastery over the music they shared with the panel of judges. Attending the event were seven soloists from CK’s various choral groups, as well as the Madrigals and MasterSingers. As all attendees received first-division ratings, each performer was awarded a medal for their performance and is eligible for participation in the MSVMA State Solo and Ensemble Festival. Individual results of this district festival are below. Many congratulations to everyone who participated in the festival, and best of luck to those continuing on to the state level!